"Delicious! 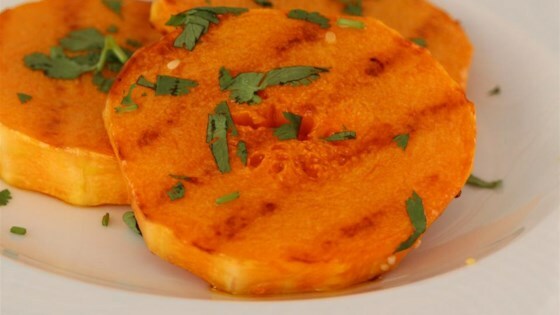 Grilling it in slices creates a crispy shell and seals in all the flavor. You don't even need butter or salt and pepper--great on its own." Brush both sides butternut squash with olive oil. Cook on the pre-heated grill, flipping as needed, until softened and browned, 15 to 20 minutes. The simplest things are truly the best! Thank you for the recipe.